Lemonade Day is a free, fun, experiential learning program that teaches youth how to start, own and operate their own business using a lemonade stand. 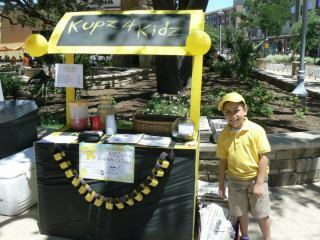 Various stands will be set up by young Austinites all throughout the city. Come on out and experience some great tasting lemonade! Visit the Lemonde Day website to view a map of this year's stands.